Prom Night, that night you have been waiting for since the first day of college. You have it all to go hit the dance floor with that new dress and heels on. But, Wait! That same old hairstyle? Why not try something new?Why not do something new to your hair? 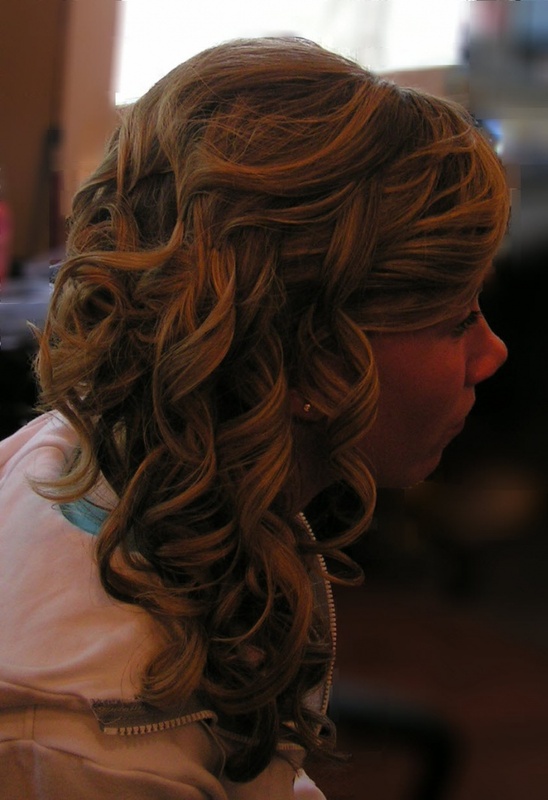 Below we have listed for you hairstyles that you could try the next time you attend a Prom Night. 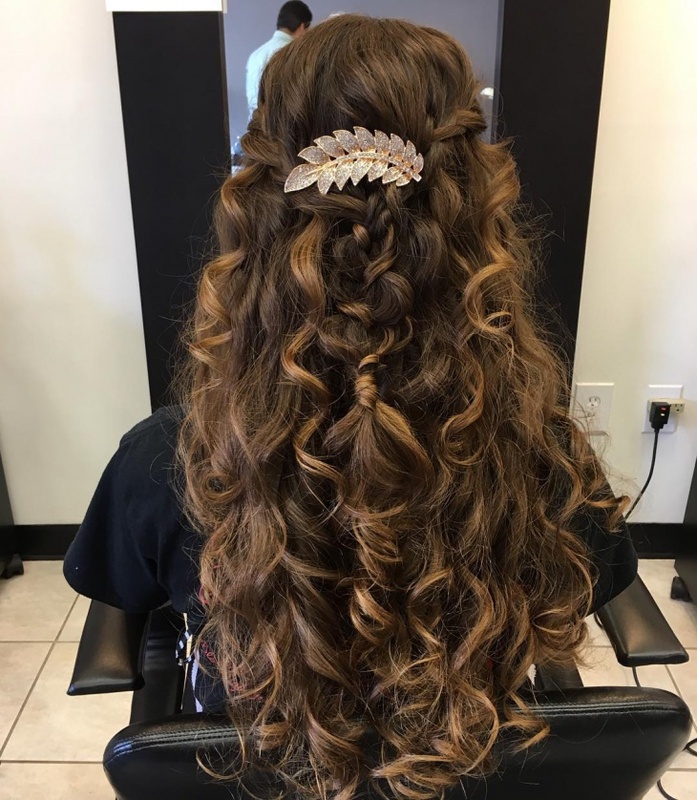 Braids as well as curls both go together like peas in a shell so if you are looking out for an unusual prom updo hairstyles then go for Vanessa Hudgens Prom Hair Updo like the pic above. The asymmetric hairstyle will make you look graceful. 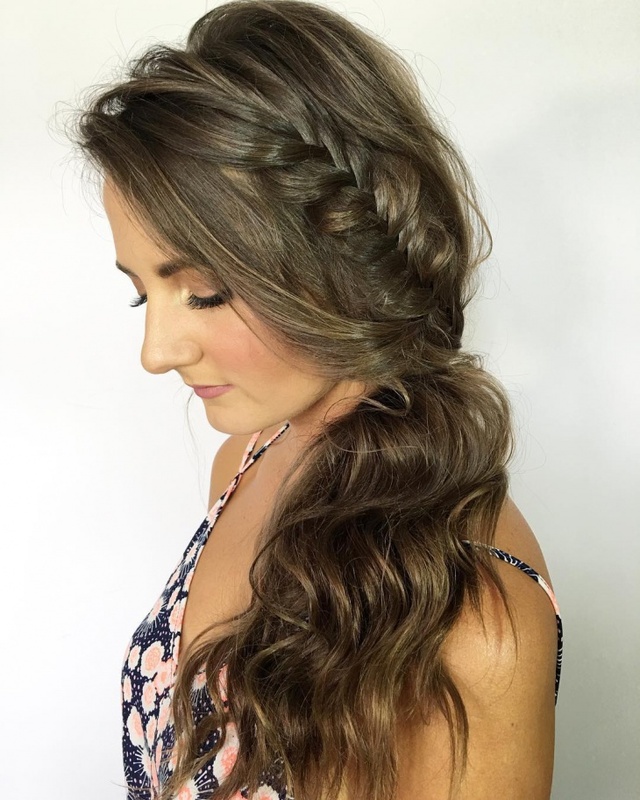 Set your hair with some hairspray and the look is complete! 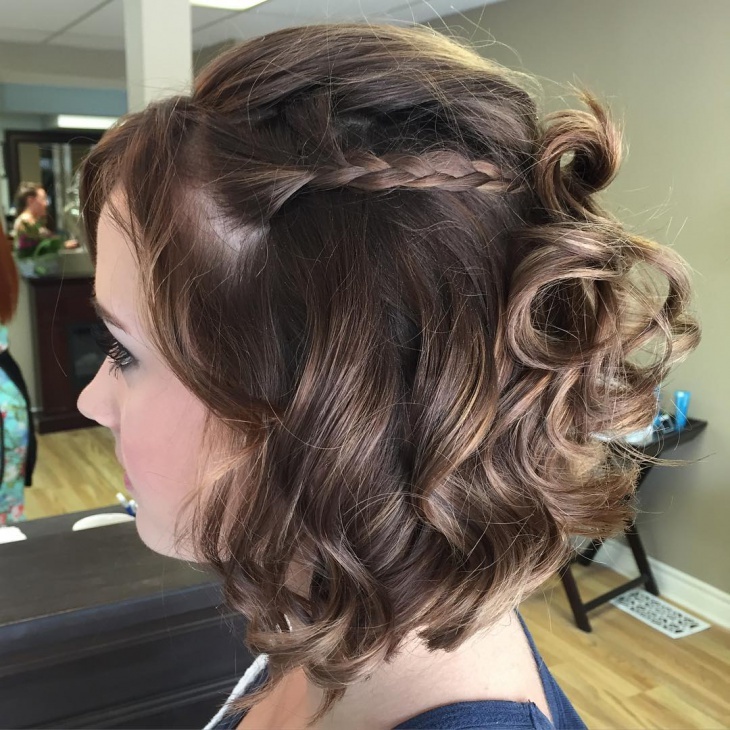 We know that prom hairstyles are all about updos and bringing out the lady in you. If you want to look cute and at the same time stylish then Cara delevingne side braid hairstyle is the way for you to go. It will work superbly with long hair. 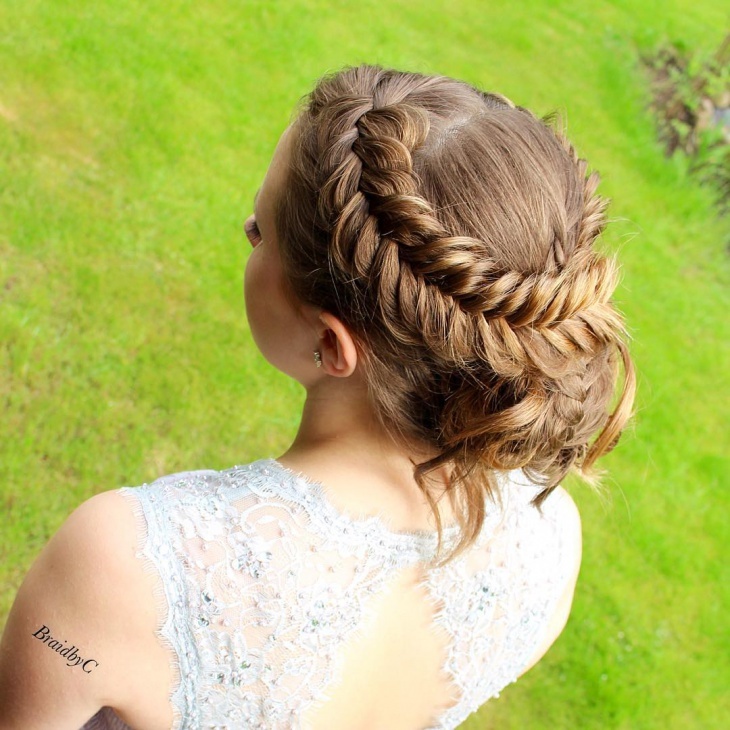 Flirty, undone and attractive the above Kristen Stewart messy braid Hairdo is the perfect way to put an impression on anyone at prom. The look has the best balance between formal and casual. So girls, get ready to rock at any dance party with this style. 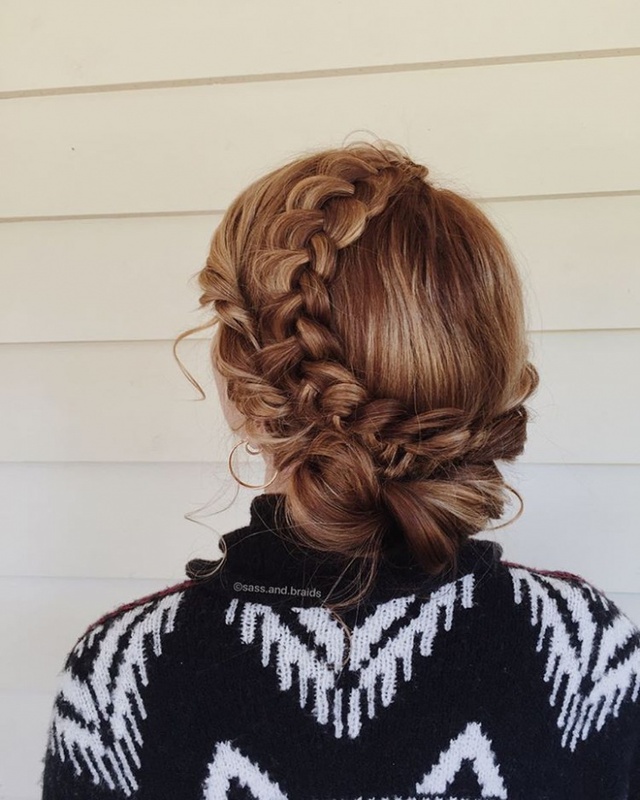 So girls if you have thick, long hair, then you can select this rope braid bun. 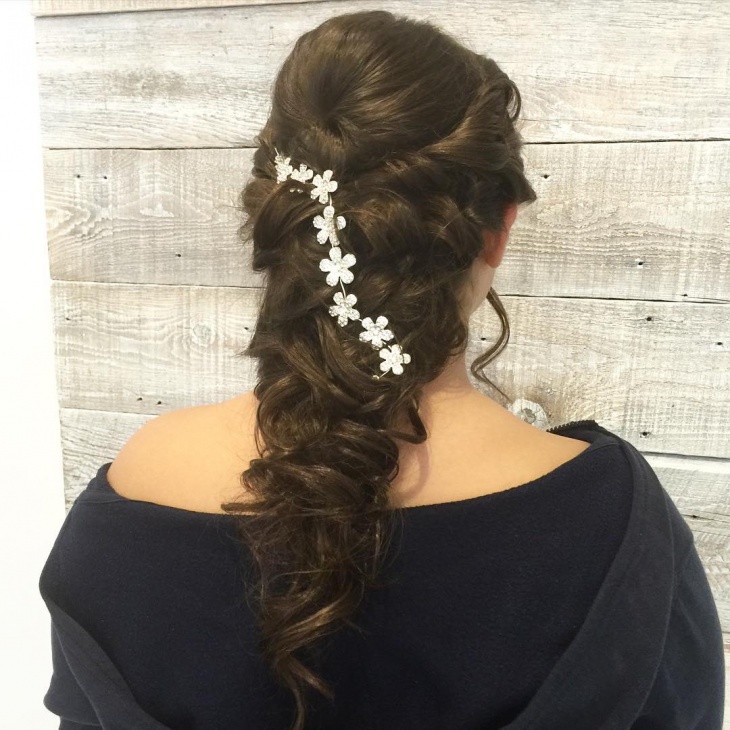 The style is incredibly easy and cute to replicate with pins and straightening machine. Its trendy and vintage. 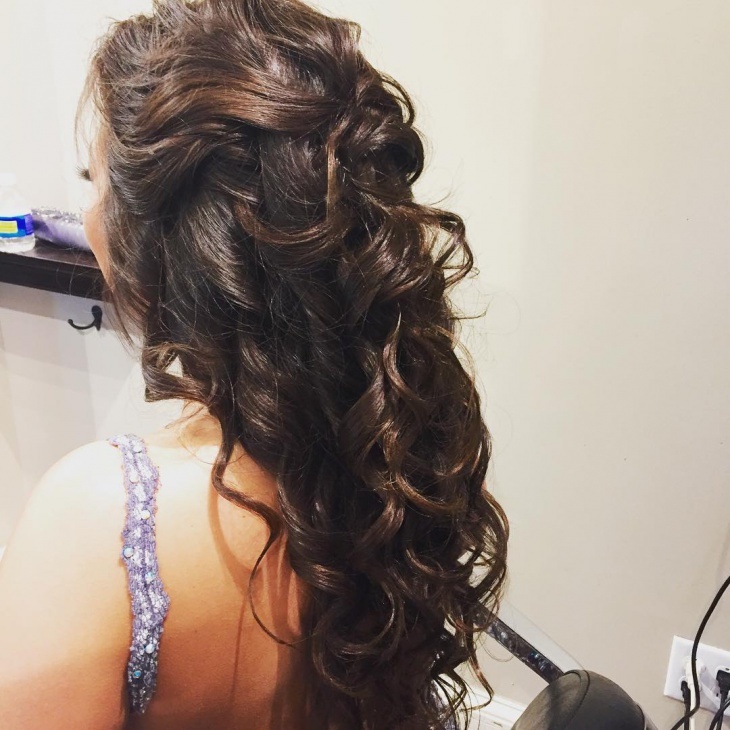 Prom updo hairstyle can anytime come and go, but Selena Gomez’s curly Hair Updo is always around for good. Selena Gomez has a round face shape, so here she also includes long side bangs. So rock your hair by giving a natural-looking with a good quality shine spray. 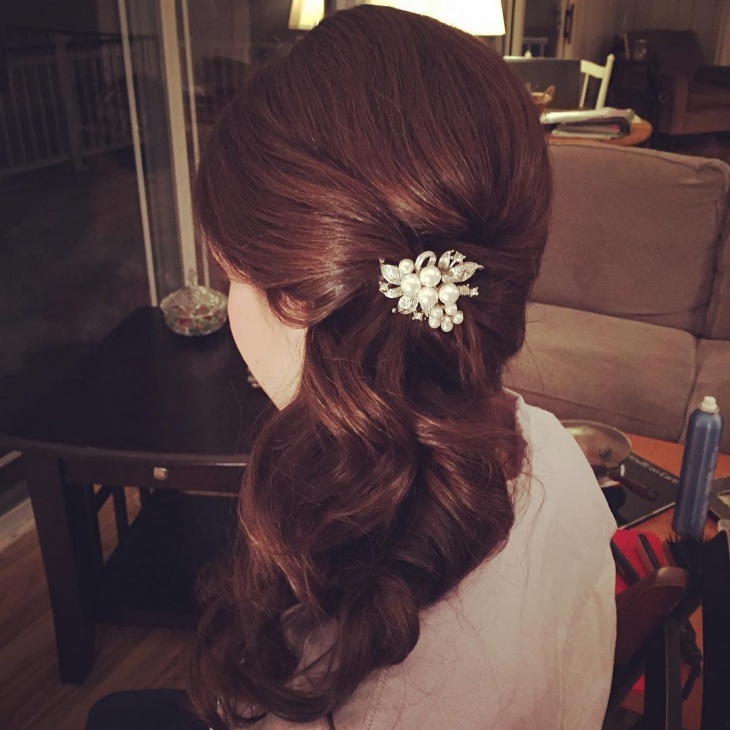 A messy prom ponytail is effortless to do and a trendy solution to finish your spontaneous looks. If you have long hair,then go with this hairstyle. Miley Cyrus has an amazing hair color idea for brunettes. If you have curly and naturally looking thick hair then this is surely made for you!Go with this stylish and effortless look by curling your hair at the front side at the same time embrace your natural waves with a curly bun. Rita Ora Prom Hair Updo has always been out of this world. Just take the look at that style and volume. To have a wonderful hairstyle like this you just have to backcomb and braid it with beautiful beads on. You can also get it little loose for a gentle and smooth style. 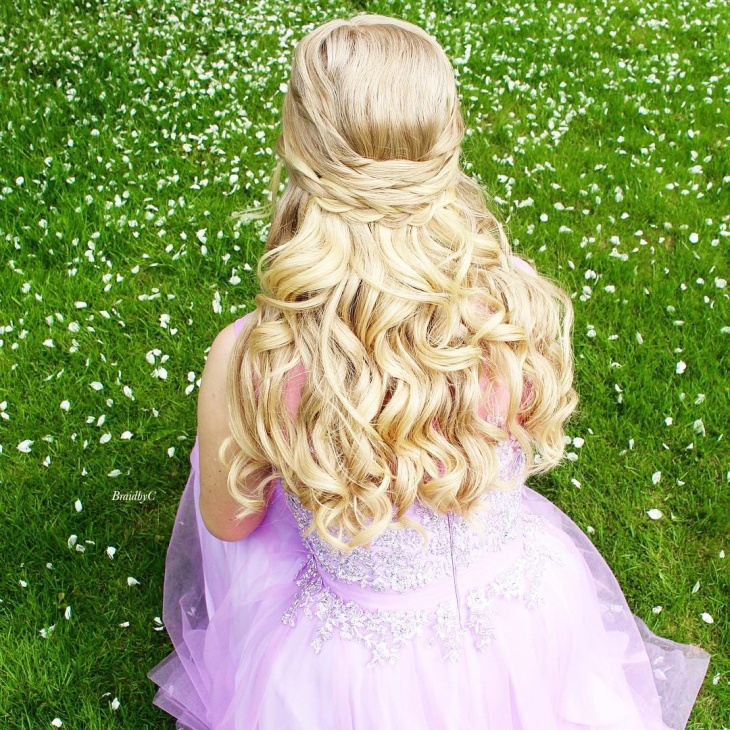 Get inspired by these romantic, trendy, and classic Prom Hairstyle for Curly Hair And look stylish for your big night. This hairstyle is definitely amazing for round and long faces as well. A good prom dress and excellent makeup that’s all it is! Being a personification of tenderness and softness. 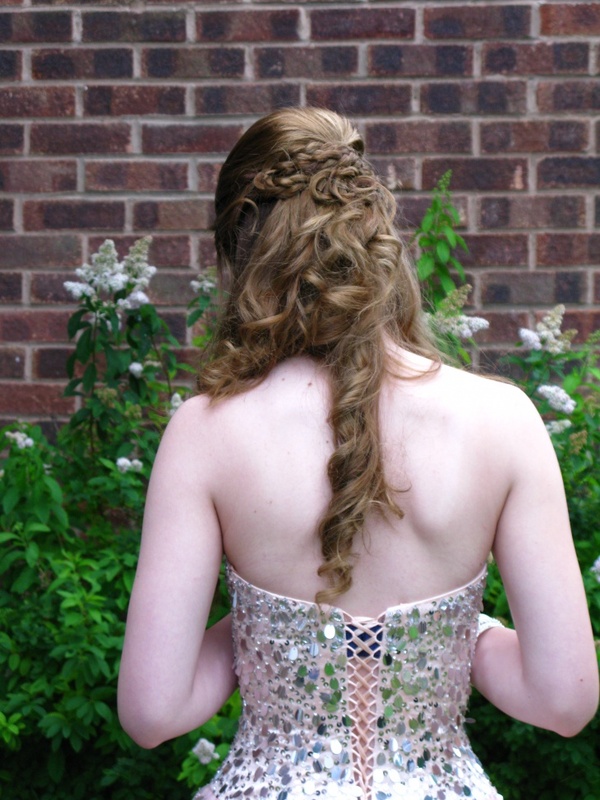 This beautiful prom braided Hairstyle where every curl and curve go at the right place. 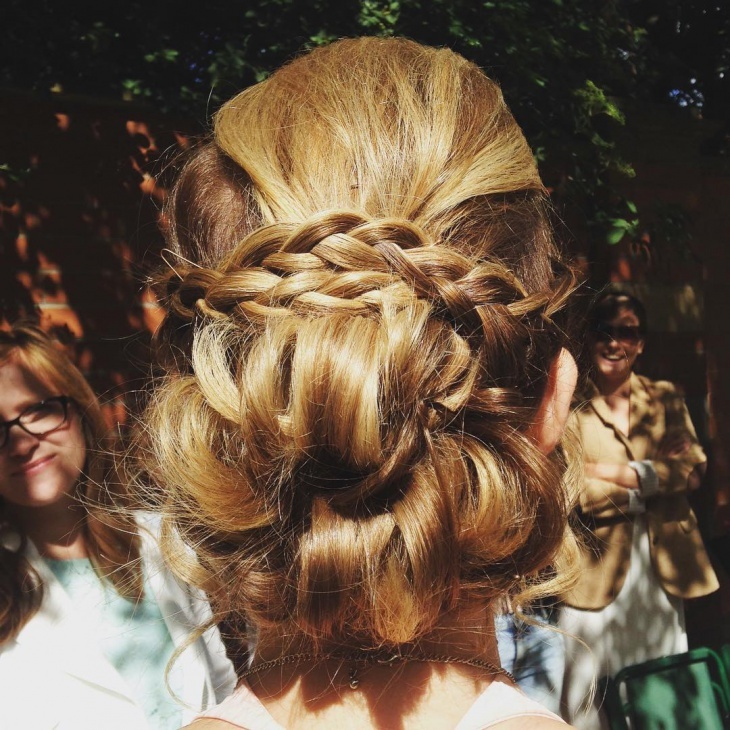 This is the best hairstyle for special events, wedding or even parties.